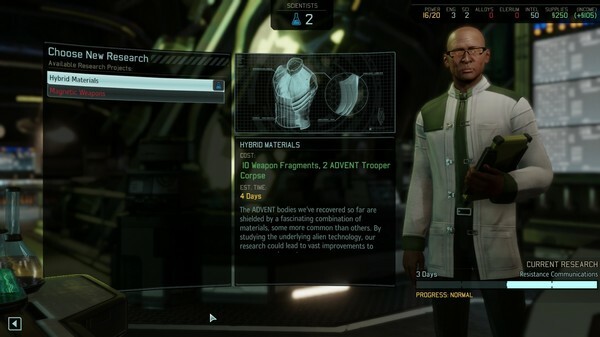 Firaxis’ XCOM: Enemy Unknown is notable for many reasons, including the realistic diversity of your squad members. Your squaddies can be from any country, have any background and, most importantly, are respectful and well crafted representations of the countries and cultures they hail from. With XCOM 2 on the horizon in 2016, we chatted with Firaxis Senior Producer Garth DeAngelis about the developer’s continued commitment to accurate diversity in the series, as well as the larger industry conversation on the topic of diversity. Paste: Why is diversity important to Firaxis as a game studio? Garth DeAngelis: I’m proud to work at a studio like Firaxis because there’s a culture of immense creativity and fun, but it’s fueled by a very mature, respectful mindset. Even Civilization, from its earliest incarnations, is a game that embraces all cultures, allowing players to learn and experiment with them. This was ingrained into the core game’s design and has acted as an organic catalyst, or example, for the entire studio. Paste: You had great body diversity for squaddies in XCOM: Enemy Unknown, which was great to see. What was behind the decision to have more realistic body types? GA: Since XCOM is a game about humanity banding together from all around the globe, it’s kind of similar to Civ. It just made sense to represent the spectrum of humankind, for all nationalities and genders. While our designers and artists are very cognizant, I wouldn’t say there was a huge initiative to highlight diversity; it just made sense for the game experience, and we’re proud of that. Paste: Is there anything in Firaxis’ company philosophy that informs your choices in terms of diversity, character options, etc.? GA: The company philosophy is to build game experiences that stand the test of time—it just follows that most of our games have this natural representation of diversity. Since the world is a part of our game experiences, for both Civ and XCOM, it speaks to a global audience more naturally. But all in all, we’re a gameplay and experience-driven studio, and we simply want to create engaging and fun experiences for all types of people.